Welcome to Essentially England's February newsletter! February is normally my least favourite month, but rather than focus on the grey and gloomy parts of it and wish the weeks away, I've decided to enjoy what's good about February. So far that list includes: bright sunshine on frost-sheathed branches and leaves, a bit of unexpected snow, the first snow drops, some very early daffodils, being home, cosy and dry, when rain lashes the windows, and the warm and comforting scents of baking apple and cinnamon cake. When I look at it this way, February isn't all that gloomy! And then, of course, today's Valentine's Day! I grew up without the pink holiday, and when I came to England and learned all about it I thought it a bit over-engineered and phony. I see it differently these days, as a reminder to stop for a moment and truly appreciate what I have. Life moves swiftly, and people can be taken away before we had time to tell them how much they meant. If it needs a pink holiday to remind us to tell those we love that we love them… who am I to argue? Since time immemorial lovers have found ways to proclaim their love to each other and the world. Royals had a lot more scope to do so than the rest of us, and many of their romantic gestures have been remembered through the ages. Queen Victoria never stopped loving Prince Albert. After her husband died, she had memorials built for him that stand to this day. The young King Edward IV got himself into hot water when he married Elizabeth Grey, a beautiful young widow, in secrecy while the Earl of Warwick was busy negotiating with the French court for the hand of a French Princess. King Edward VIII famously traded the throne for the love of Wallis Simpson. 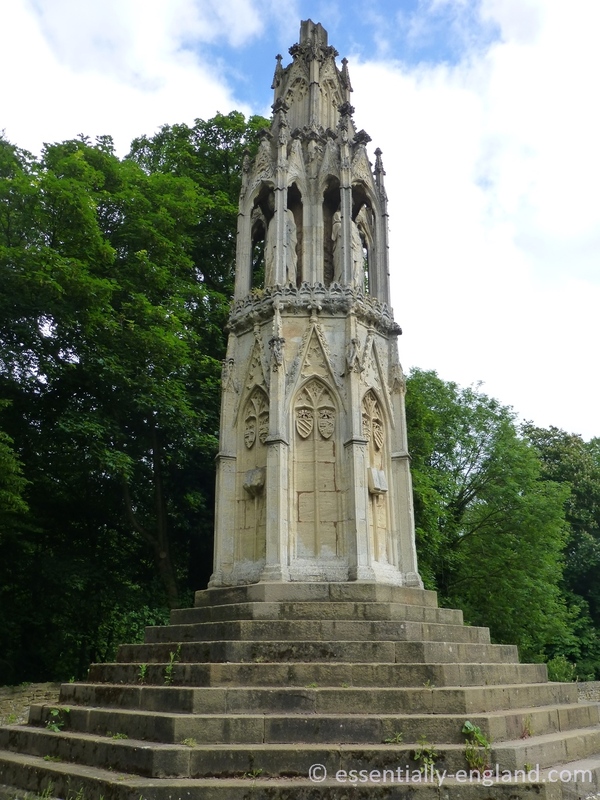 And King Edward I had carved memorial crosses like the one below erected in each place his wife's funeral cortege stopped overnight on its way to her funeral in London. There are many other such stories, of course. Some bring a smile to each face while others are truly outrageous. Whichever you're going for, the size of the romantic gesture barely matters. If there's someone special in your life, make today the day you tell them so. 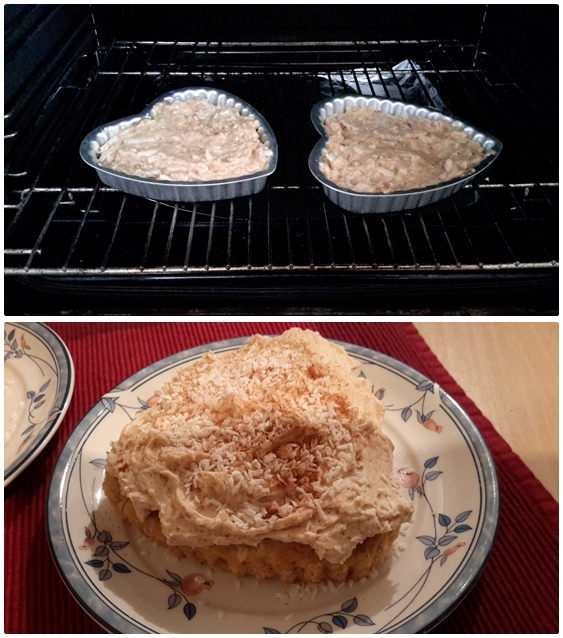 Apples and cinnamon are a marriage made in heaven, so what better recipe to share on the day that celebrates love and relationships than one of my favourite cakes. I've been cutting back on sugar and processed carbs over the last few months and while that works perfectly well for long times at a stretch since I don't have an excessively sweet tooth to begin with, every now and then I get a distinct craving. The other day, I suddenly needed cake. Spiced apple cake, to be precise. Heavy on the cinnamon and laced with allspice and ground ginger. AND topped with cinnamon buttercream icing. I had the same incredulous look on my face. I do not crave buttercream. Ever. Except that morning, I did. And because it's better to give in gracefully than be properly miserable all day, I wandered off to the kitchen to see what I could come up with. Spiced apple cake is dead easy, really. It's also mouthwatering and perfect with a cup of tea, simply because it's not overwhelmingly sweet. It's moist and soft and you don't need much to make it. Get your oven heated to 180°C / 350°F then core and grate the apples. This cake works well made with either cooking apples or dessert apples, so you can use what you have around. Peel the apples if yours have tough skins or you want a nice "genteel" looking cake instead of a more rustic one. If I have red apples, I leave the skins on. For no other reason than that I think it gives the cut cake a nice look. Beat the butter with the sugar until pale and fluffy. Then beat in the eggs one at a time. I do that with a hand mixer. Add the flour, baking powder, and spices - I use about 1 tsp each of mixed spice and ground ginger and maybe 2 tsp of cinnamon - and mix well. Add in the apples. If the cake mix is too stiff, add a little milk to loosen it. I've made it without milk, with a fairly stiff mixture and the finished cake ends up a bit on the dry side. These days, I'm aiming for a mixture that drops fairly easily off my wooden spoon, but isn't sloppy. Pour into a well-greased cake tin, round or loaf-shaped works for me or you could nod to the date in the calendar and make individual, heart-shaped cakes as I did. Cook for 25-35 minutes or until the cake is a gorgeous golden colour and a skewer pulls clean from the middle. While the cake cools, beat equal amounts of softened butter and icing sugar - I use 80g / 3oz for mine - until creamy. Then add cinnamon to taste. Spread over your cooled cake, decorate the top with toasted, dessicated coconut and more cinnamon… and enjoy! That's it from us for the moment! Next week, I'm aiming to return to exploring England's coastal defences. And find more delicious food to share with you!